The legendary actor of yesteryears passed away at 93 on Friday, July 12, 2013 at 8.30 pm in Mumbai. Born in 1920 in Delhi, Pran Kishan Sikand, popularly known as Pran, started his career at Lahore in undivided India. While working as a photographer, he was spotted by a film producer and was offered a role in a film Yamala Jat in 1947. He has never looked back after that, though 1947 partition had some hiccups. He moved to Bombay and embarked upon a great career, acting in more than 400 films, the last one being Dosh at the age of 87 in 2007. - Pran Sahib immortalized the concept of transcendence and active meditation; embracing the ultimate, with pride and peace. This handsome stylish actor created a niche for himself performing in a variety of roles, a villain, a comedian and at times a great Samaritan. He became an icon for all young college students in 1950s and 1960s. Everyone started to keep the shirt collars up, tried to make cigarette smoke rings and copied to modulate the voice, too. The young girls were deeply impressed with him and his acting, since, though a villain, he was graceful with female folks in the films. Pran was very fond of Urdu poetry and literature. He took active interest in sports, too. He played imitable roles in Badi Bahen, Kasauti, Kashmir ki kali, Majboor, Jis Desh mein Ganga bahati hai, Upkar, Janjeer, Amar Akbar and Anthony to become a household name in Hindi film world. He won innumerable awards for his impressive acting over six decades, including Filmfare Life Achievement Award (1997), Padma Bhushan (2001) and Dada Saheb Phalke Award (2012). The last mentioned one he received recently on May 03, 2013, marking Indian cinema’s 100th year. This grand old ‘villain’ will be missed by all in India. May his soul rest in peace. Thank you, Versatile for your appreciation. May his soul rest in peace. Rather imitable roles are being played by today's villains. 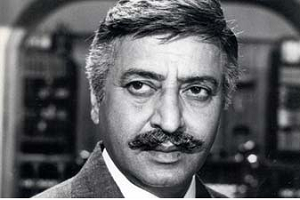 But Pran's roles are really inimitable. Loved him any day. May he RIP.